Canature WaterGroup™ has dedicated professional engineers with decades of commercial water treatment experience. Over the years, they have built a reputation for designing efficient, high quality commercial water treatment systems. Flow rates up to 17 GPM, depending on your media choice. The 95STS is perfect for small to medium sized commercial projects that don't require continuously filtered water. Craft breweries, restaurants and car washes are examples of businesses that are ideal for the 95STS. Flow rates up to 48 GPM, depending on your media choice. 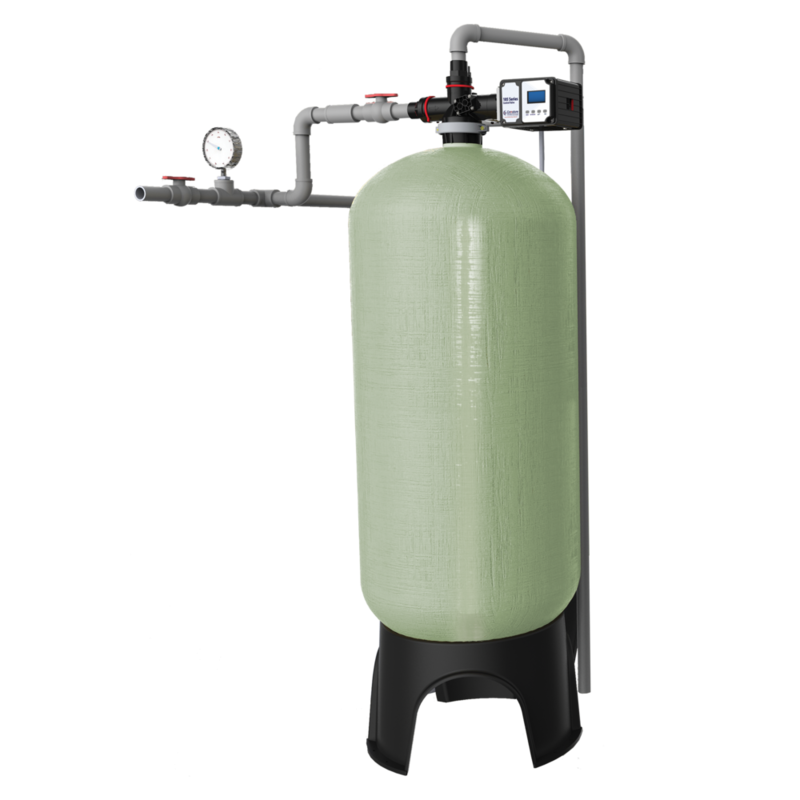 105STS Single Valve Series filters provide high quality filtered water. The system is engineered and thoroughly tested to provide years of reliable, trouble-freeperformance with minimal maintenance. Flow rates up to 272 GPM, depending on your media choice and based on a 16 tank system. Expandable up to 16 filters, the 95MTS is ideal for commercial customers who are looking for a reliable, efficient, smart filter system with low initial investment and room to grow. Flow rates up to 864 GPM, based on a quadplex system and depending on your application and media choice. The MVS systems are ideal for large commercial projects that require a large volume of continuously filtered water. Hospitals, hotels, municipal treatment plants and recreation centres are just a few of the projects that the MVS systems are ideal for.